Every major storm reminds architects, urban planners, and specifiers of the need for more vegetative roofing—since adequately waterproofed green roofs can fulfill their fundamental purpose of buffering stormwater runoff and improving the environment. This article reviews the general advantages and challenges of vegetated roofs, including how and where they are most likely to fail. It also reviews strategies for overcoming those challenges and provides advice for achieving long-term performance. Vegetated roofing assemblies provide the following advantages to city development and planning. 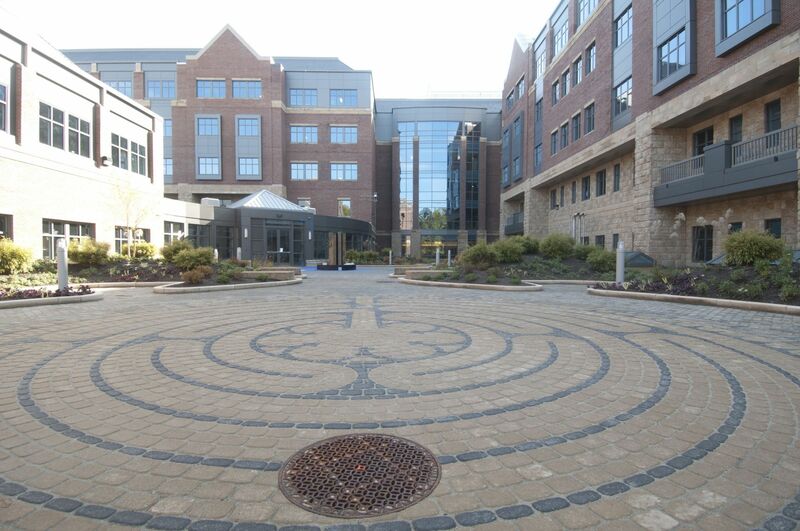 A non-disruptive, odor-free, cold, fluid-applied reinforced resin membrane was specified for this 2229-m2 (24,000-sf) healing garden at the Baystate Medical Center in Springfield, Massachusetts. Free moisture at the surface will evaporate, with the rate dependent on ambient temperature and humidity. However, the bulk of rainwater will seep into the soil and be available for absorption and transpiration by plants. When soil is saturated, excess water must be efficiently channeled to drains. Green roofs then act like giant sponges with the absorptive capacity directly related to overall volume of the planted area, the depth of overburden, and the density and type of plantings. Deciduous trees can generally retain more water during the growing season than conifers, but evergreens are active year round. Leafier trees generally hold more than pines, but there are many evergreens, such as hollies, that also bear leaves. Drainage rates are also related to the types of growing media, and engineered soils or loamier growing media are generally preferred over sandier ones. Drainage mats and retention trays are typically used to further regulate the process, and channel drains must be kept clear of foliage and other debris to handle their maximum intended volume. Plants act as natural air purifiers, taking in carbon dioxide (CO2) while enriching the air with oxygen. To the extent they sequester pollutants and freshen the air, green roofs can contribute to the overall well-being of area inhabitants, eliminating many airborne contaminants that can aggravate those with asthma or other upper respiratory ailments. Contributions to air quality are incremental, but offer real benefits. Of course, pollen from trees and grasses can aggravate those with allergies; landscape architects may want to take this into account in selecting plant species, particularly for areas such as healthcare facilities. Green roofs can also act as natural air-conditioning for cities during the summer months. Asphalt and buildings absorb and then radiate heat, causing a dome of warmer air, known as the urban heat island effect. It is estimated the annual mean air temperature of a city with one million inhabitants can be 1 to 3 C (1.8 to 5.4 F) warmer than surrounding areas. Plants do not radiate significant levels of heat. Further, because they retain moisture and capture morning dew, they can also provide evaporative cooling that is intensified by just a light breeze. Again, the cooling impact is incremental, but it is cumulative and can begin to be felt as the ratio of ‘green’ to ‘black’ landscape increases. City planners can begin to accumulate these shared benefits by incorporating green roof designs into public buildings and sustainable development projects, as well as by encouraging private-sector investment through local environmental policies and commercial tax incentives. 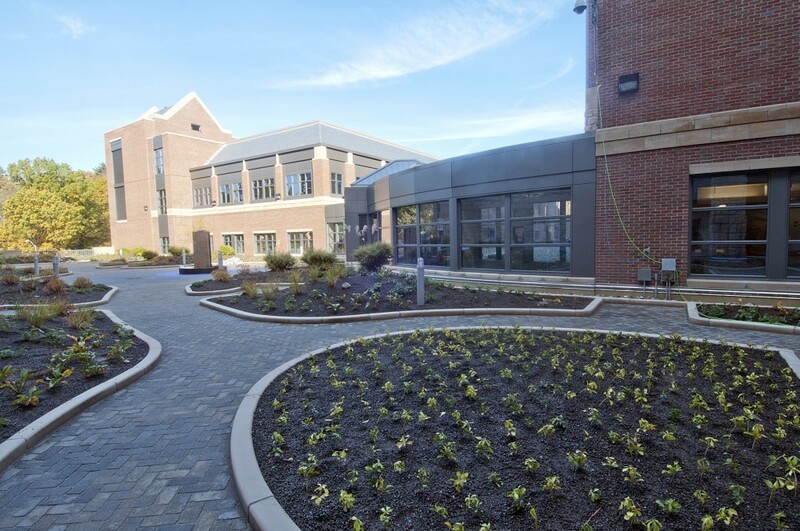 Vegetated roofs represent a significant building improvement contributing to resale value of commercial properties, and translate into higher rates for rentals, leased properties, and co-operative housing developments. Of course, valuations will vary based on location and the real estate market. SS Credit 7.2, Heat Island Effect–Roof—if the vegetative area is more than 50 percent of the roof. Planted roof areas can also reduce building heating/cooling demands, particularly on top floors since they help keep building heat inside during the winter, and shield roofs from radiant sun in the summer. 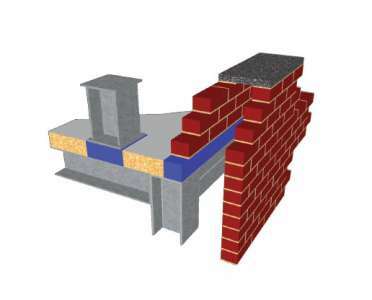 Thermal insulation layers in a green roof system further reduce building energy consumption. The healing garden is finished with ballasted stone, low vegetation and paver walkways. Beyond tax incentives and direct savings in building operating costs, aesthetics rank high as motivating factors for owners of occupied buildings. Green roofs provide a naturally appealing, even fragrant, enclave within the local environment, and an immediate getaway for occupants. Outdoor lighting packages can highlight the landscape and extend use into the evening. Roof gardens may incorporate walkways, terraces, and seating for park-like settings, or even special features such as fountains or executive putting greens (“850 Third Avenue”). When roof gardens are coordinated with interior design, fenestration can bring the natural calming effect of green spaces indoors. Extending service life is always the goal of a green roof’s waterproofing system, so understanding where roofs can fail is essential to the specification process. For this reason, a professional roof consultant should be an important part of the design team. Generally, covered waterproofing materials last longer than those on an exposed roof, though there are numerous ways green roofs can fail. Plantings can be easily replaced at a reasonable cost. Yet, the cost of repeated repairs or replacing waterproofing that fails prematurely due to improper design or installation can be substantial. Green roofs should never be designed solely for aesthetic appeal but first as a long-term investment. This will avoid as many common problems as possible at the outset. Rainwater can stream down exterior walls and might flow behind mechanical fastened vertical flashings if not properly sealed or when sealant fails. Ultraviolet (UV) light, temperature fluctuations, and movement can deteriorate asphaltic sealants, rubberized materials, and caulk. Self-flashing materials that fully adhere work better. The main issue with gutterways is extreme movement in the metal can lead to cracking at the joints. 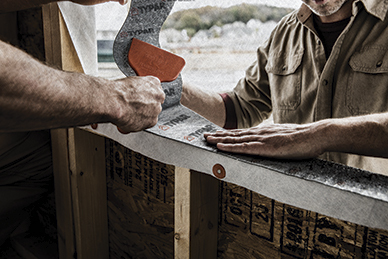 A fully adhered membrane can handle movement and bridge joints. Gutterways can also fail in the main channel if the metal is punctured, scored, or corroded by weathering. Corners of metal flashings and gutterways are one of the most frequent sources of leaks. Sealant materials can shrink as they weather and collapse into holes, leaving a gap. A fully adhered membrane can handle movement and bridge joints. Penetrations such as electrical conduits and vent pipes can be difficult to reliably seal for the long-term because of their curved profiles. Rubberized boots and pourable sealants are prone to differential movement between horizontal and vertical transitions on roof penetrations. Some membranes require clamps, sealants, and caulk (i.e. maintenance items) to close the membrane termination. Self-flashing and self-terminating materials can solve these problems. The three types of vegetated roofs, as per FLL. Waterproofing often fails at joints and seams in the waterproofing material itself. Sheet waterproofing products require overlap and continuous sealing along the width of the seam to keep water out. Yet whether heat-welded, taped, or glued, joints and seams are prepared in the field and can become weak spots, prone to root penetration and leaking. If water finds its way under a waterproofing material not fully adhered to the roof deck or substrate, it will flow to the lowest point. Travelling water can find its way inside a building, often far from the original damage, making repair difficult. Roofs are rarely perfectly flat, though any visible air pockets should be eliminated during installation to ensure proper adhesion. Roots from mature trees and shrubs are powerful, and can push against waterproofing materials and create weaknesses that become cracks in their quest for water. The opportunity for root infiltration can be minimized by selecting shallow-root species appropriate for planter depth, as well as by including root barriers or root-resistant materials. lack of inspection or testing. Poor soil and subsurface drainage can cause water to pool in planters. This can invite root rot and algae growth which can attack waterproofing materials. Excess water and snow accumulation or ice buildup will also increase static loads. During the life of a vegetated roof, contractors may need to remove overburden for maintenance or repairs. For example, a mature tree could die and need to be replaced, or an active building leak may need to be located and repaired. In such cases, it is possible for contractors to inadvertently damage the underlying waterproofing, or to improperly repair it. High winds create updrafts that can lift block and sheets materials along with ballasted stone. Strong winds can also bend trees and lift roof decking, pulling at anchor bolts below, which can damage the waterproofing assembly. Exposed sealants and flashings can also be damaged by flying debris. Differentiating among the three types of green roofs as per FLL classification system. A single gallon of water weighs 3.7 kg (8.3 lb), and retention capacity is generally a positive for vegetative roofs. However, urban renovation projects are not always designed to handle the weight of intensive green roofs. Designers may be able to add structural support, or shift to a less intensive green roof or more extensive system with shallower plantings—meaning lower plant height and a more limited palette of foliage. 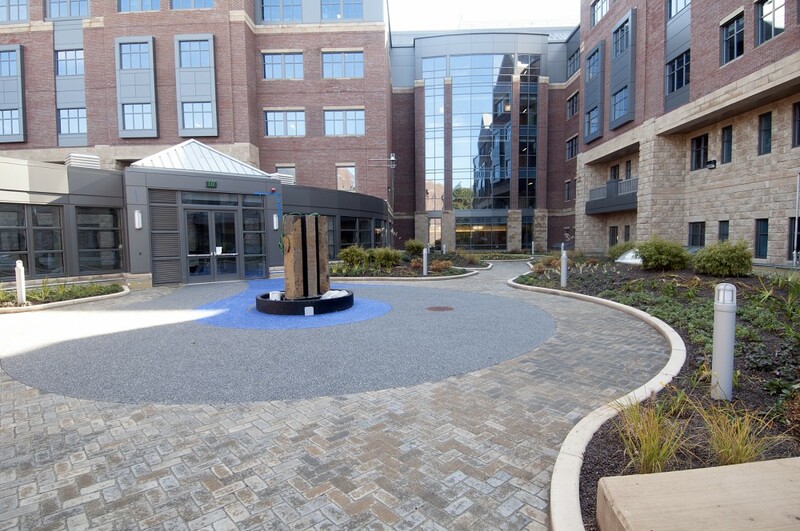 As a rule of thumb, if there is an existing paver system, then the weight of an extensive green roof should be supported. 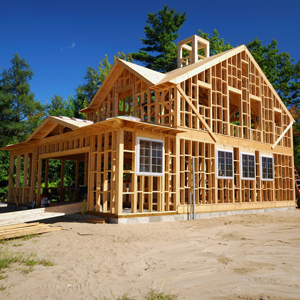 However, an architect or structural engineer must always calculate roof load limits to ensure the new design remains within the load range, even under the additional water weight of adverse weather. In urban reconstruction projects, extensive—rather than intensive—green roofs are the norm, although marquee buildings and newer buildings are often engineered to handle extra loads and exceptional contingencies. Waterproofing manufacturers can supply details on the weight of standard membrane assemblies. There are three basic types of green roofs in the FLL classification system (Figure 1 and Figure 2). Extensive green roofs have the shallowest plantings which may range from moss sedum to grass and herbs. They are low maintenance and require minimal irrigation. Semi-intensive are hybrid systems that include a mix of both low plantings and shrubs that require periodic maintenance and irrigation. Intensive green roofs may include lawns and perennials but also include the deepest plantings, which may include shrubs and trees. They need regular maintenance and irrigation. 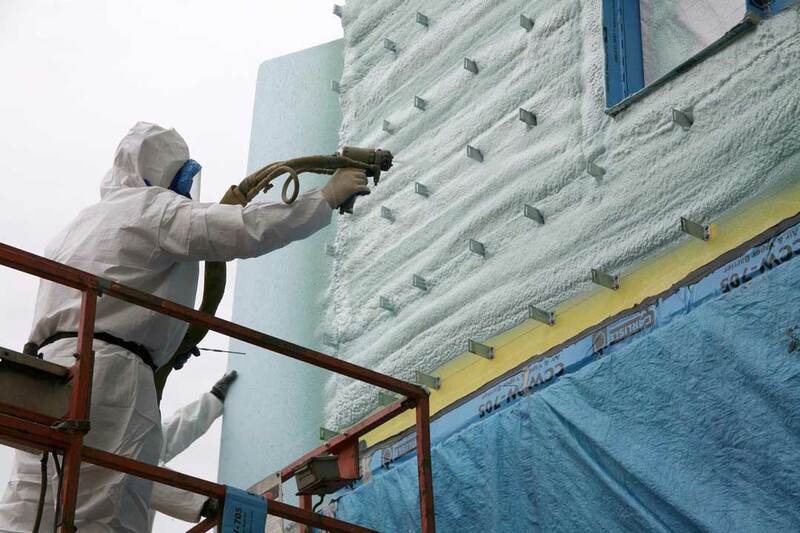 cold-liquid applied reinforced membrane systems, which are seamless and include polyester, polymethyl methacrylate (PMMA), or two-component polyurethane for ‘odor-free’ applications. 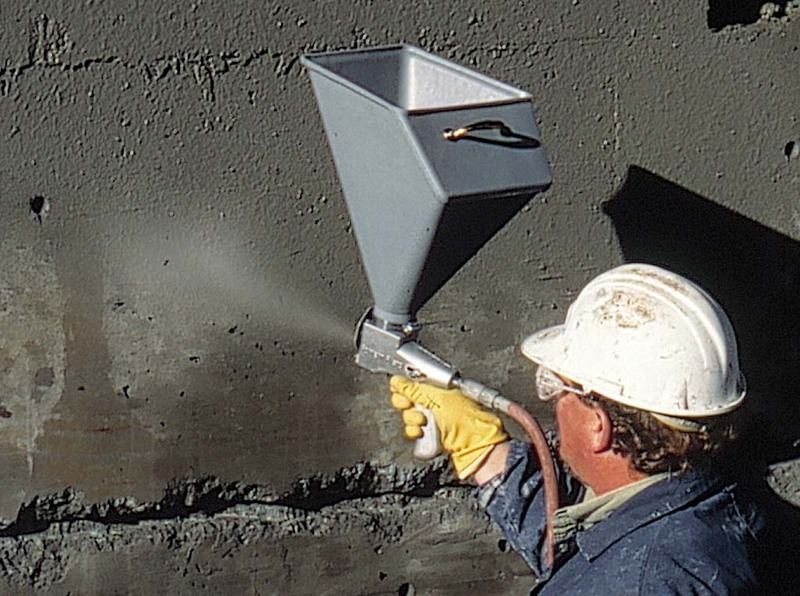 Since a significant percentage of the population is sensitive to strong odors, solvent-free and ‘odor-free’ resin waterproofing systems are often preferred for occupied buildings. Figure 3 summarizes attributes for each which can help overcome or forestall many types of failures. 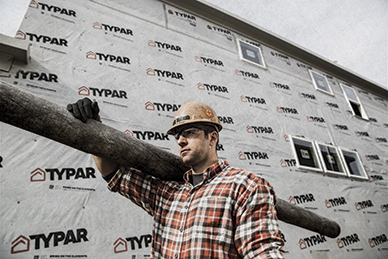 Where extended-life waterproofing protection is desired, material selection is paramount. Protection against root penetration is particularly needed for extensive, as well as intensive, green roofs. This can be accomplished with either protective sheeting with additional protection for seams and flashings (this requires separate waterproofing membrane underneath), or a two-in-one liquid-applied, root-resistant, seamless waterproofing membrane. Insulation for inverted roofs and drainage mats can also be used as root protection. Advantages and challenges among the vegetated roofing types. Aside from loads, durable waterproofing is the most fundamental structural aspect of a vegetative roof. Given the overall cost of green roof systems, qualified roof consultants are often involved in the design and selection of waterproofing materials. Whatever type of waterproofing system is finally selected, certified installers and waterproof testing and inspection can ensure the initial waterproofing is reliable before the job is finished. As water can travel some distance below waterproofing materials not fully-adhered, leak detection may be more difficult later. With a fully-adhered system, source of leaks are generally right above the leak point inside the building. Real-time leak detection systems are also available for continuous monitoring post-installation. However, since they substantially add to the cost of a green roof, they are generally reserved for critical applications. Brian Kelly has more than 10 years of experience designing waterproofing in green roofs and plazas and is national design and specification manager of Kemper System America Inc. Kelly educates architects, engineers, construction specifiers, and building owners about roofing and waterproofing technology and conducts related training sessions for AIA credit. He travels extensively throughout the U.S. and reviews specifications for major construction projects. Kelly can be contacted at inquiry@kempersystem.net. To read the sidebar, “Vegetative Roof Waterproofing for Long-term Performance: Two Types of Green Roof Assemblies with Waterproofing Membrane Systems,” click here. To read the sidebar, “Vegetative Roof Waterproofing for Long-term Performance: 850 Third Avenue, New York, NY,” click here.